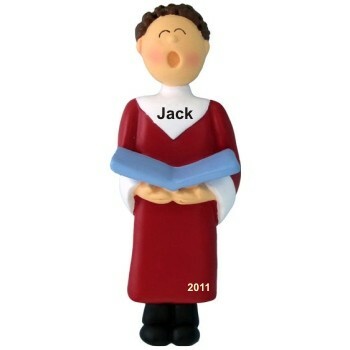 Whether you're looking for a religious Christmas ornament, or something that's specifically a Christian , we've tried to focus on the core meaning of the season. 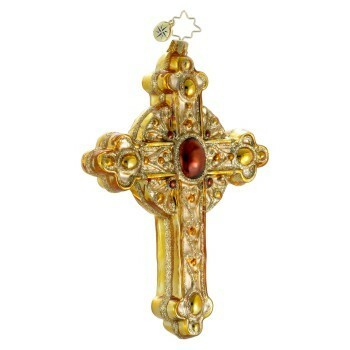 Our Christian section features crosses in both resin as well as blown glass. 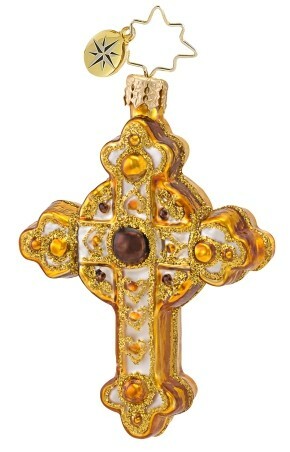 The resin cross can be personalized as a communion or religious holiday gift to create a one-of-a-kind memento of the celebration. 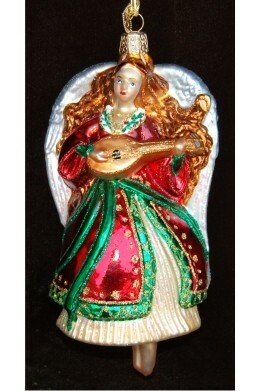 We also offer an angel ornaments for kids, for adults, as Christian memorial ornaments, and as tree toppers. 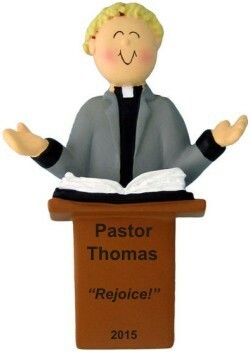 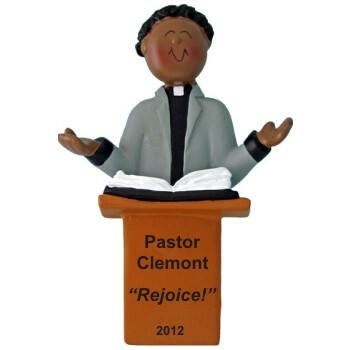 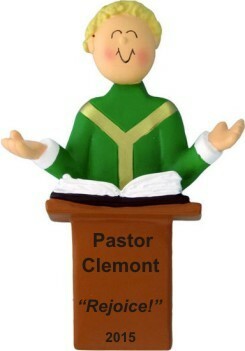 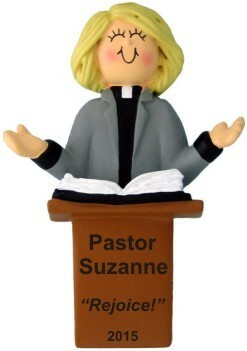 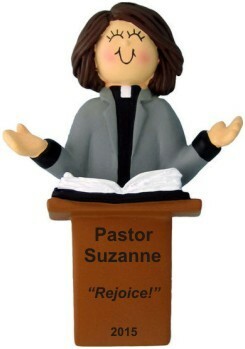 For those who attend regularly, we offer Church choir ornaments for both men and women, blonds and brunettes, as well as an African America preacher ornament. 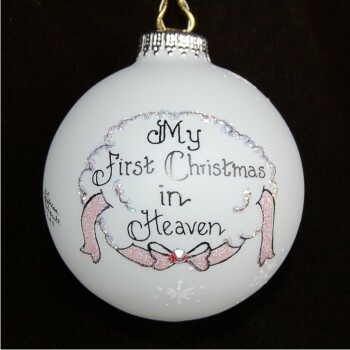 All of our Christian tree ornaments can be personalized without additional charge, and where indicated, arrive in our exclusive black velvet drawstring pouch, ready to present to a special person. 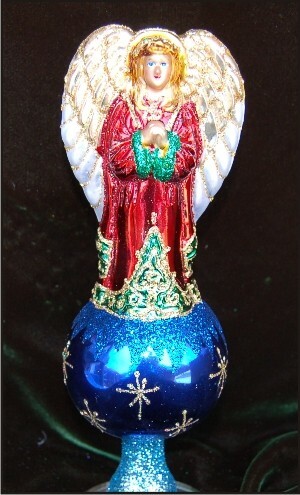 When discovered, we will also add other religious ornaments to this category. 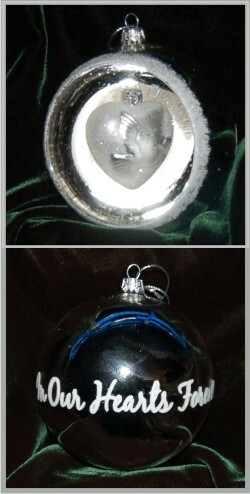 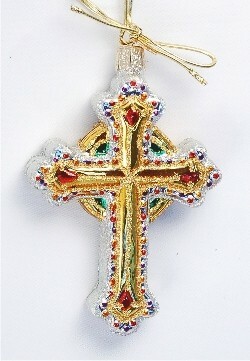 Customers frequently inquire about Christian Christmas ornaments for kids that can be purchased in bulk. 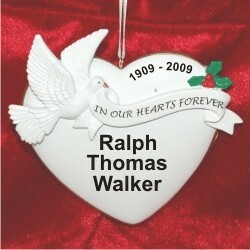 Whether you're looking for angels or crosses, we're happy to create a special quotation for you. 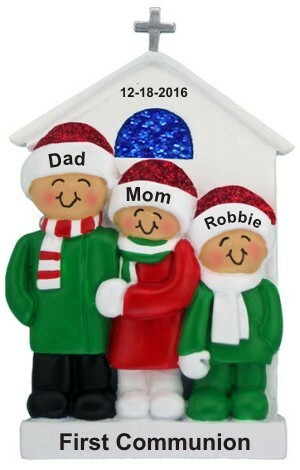 You can personalize the ornaments with each individual's name, or you can personalize all the same as for a Church group's name or event or crusade. We also offer Christian memorial ornaments in bulk where a large group of friends will be presented with an ornament honoring the departed. 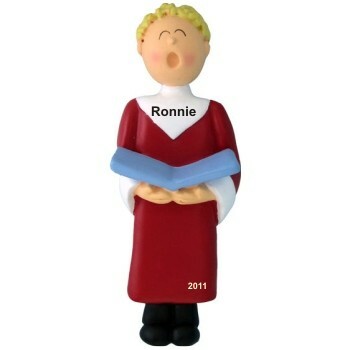 Whatever your needs might be, click on the Contact Us link below and tell us your specific requirements. 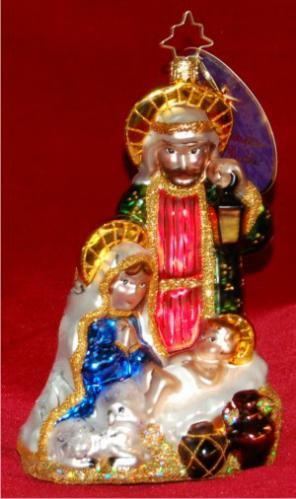 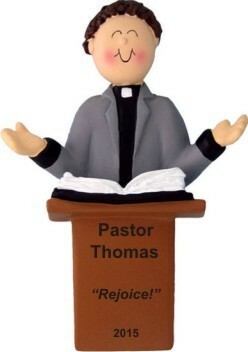 We're happy to create custom Christian ornament bulk priced package for you.